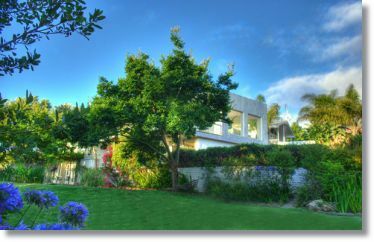 This Somerset West Guest House boasts a lush green garden, a large koi pond, fruit trees, rose garden and a beautiful old oak tree. 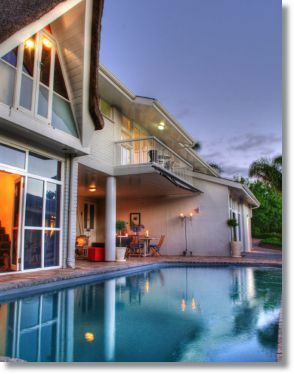 Only 35 minutes from the Cape Town city centre, 20 minutes from Cape Town International airport and 10 minutes from the beach, with all the advantages of the city, but all the benefits of country style living. The magnificent Hottentots Holland and Helderberg mountain ranges are the backdrop to a well deserved holiday. 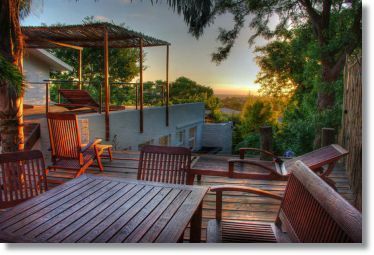 The Guest House boasts a lush green garden, a large koi pond, fruit trees, rose garden and a beautiful old oak tree. 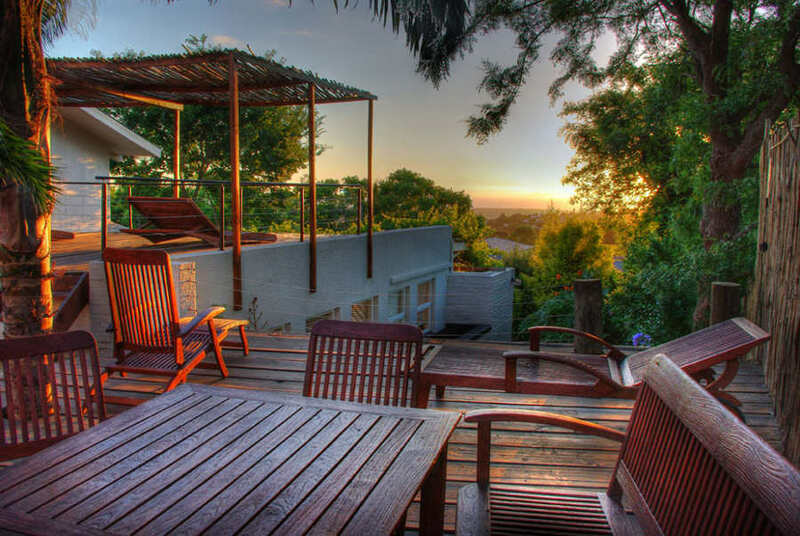 Wonder through the garden and relax beside the water fountain or read a book in the poolside lounge, enjoy sundowners on the sun terrace with breathtaking views over False Bay. Enjoy a refreshing swim in the natural spring water pool. 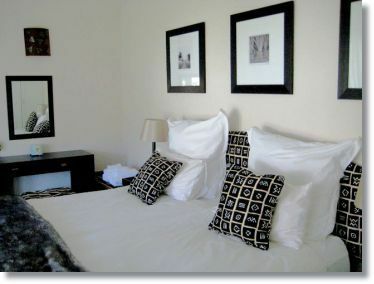 The guesthouse offers 4 self-catering fully equipped suites and 3 double rooms. 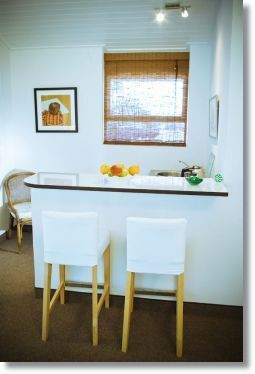 The suites have basic kitchenettes equipped with stove, fridge, kettle, crockery and cutlery. 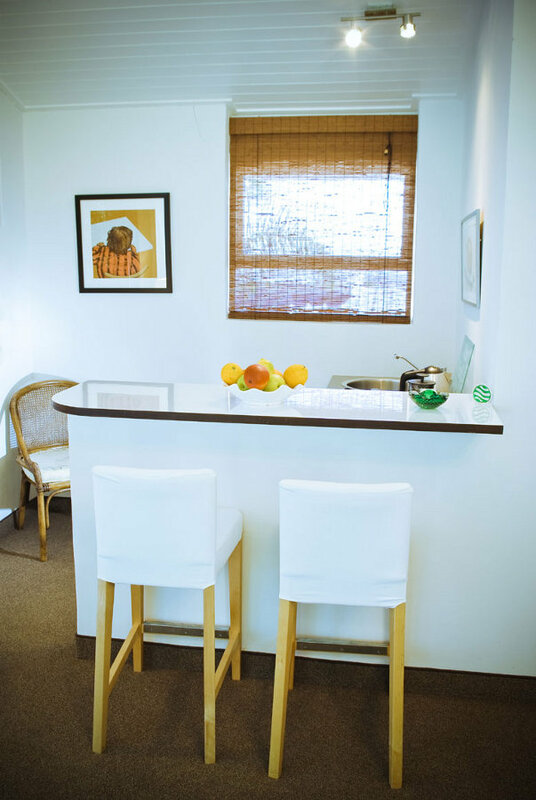 All units have satellite television, a fridge, air-conditioning, king-size beds, private bathrooms (with showers) and a terrace or balcony with either garden or sea view. All suites and double rooms are non-smoking, but guests are welcome to smoke on the terrace or in the garden. 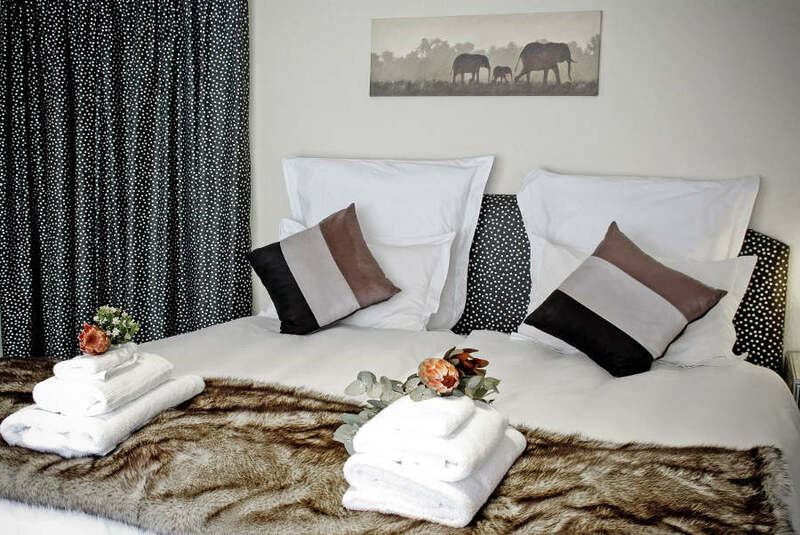 The Buffalo Suite is 41m² in size and is situated on the first floor. 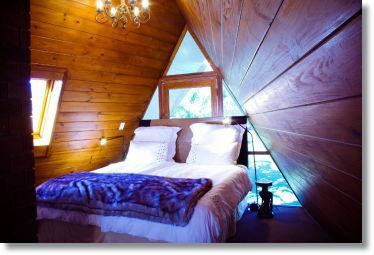 It's spacious, decorated in white and chocolate and has a large balcony with lovely sea and mountain views. 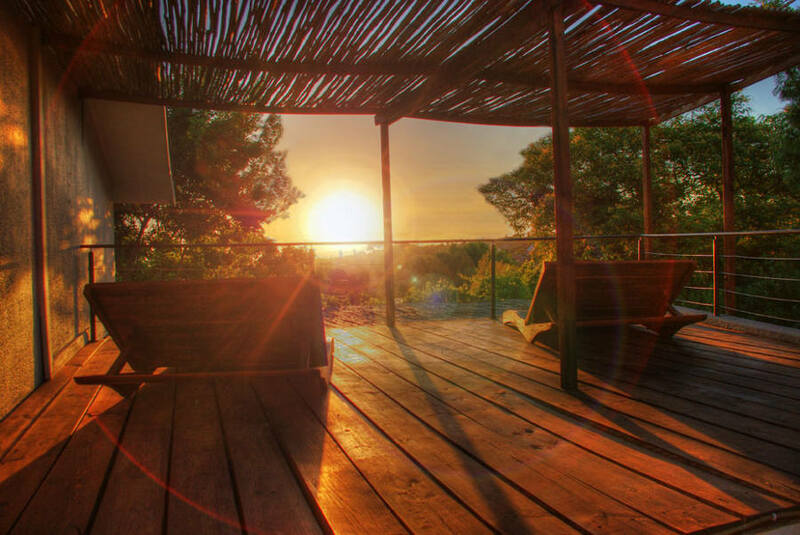 The Africa Suite is 63m² in size, consists of 2 floors and is completely furnished in an African style. 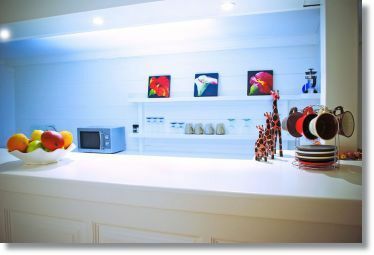 The living room, kitchen and a bathroom is situated on the first floor with the bedroom, a small lounge and another bathroom on the second floor. 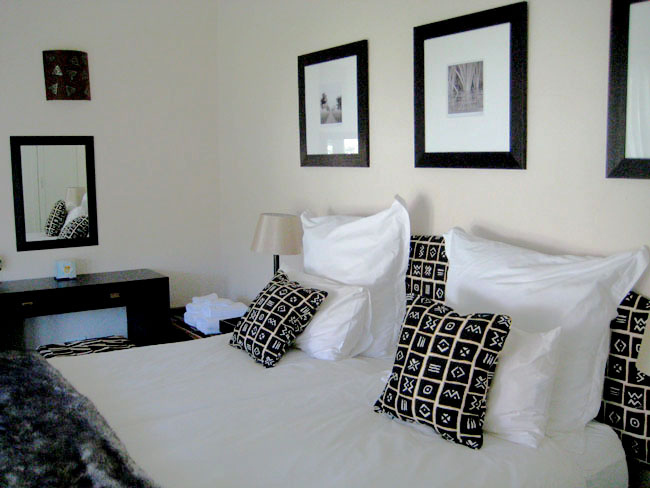 This suite can be booked with breakfast or on a self-catering basis. An additional bed can be added for a third person. 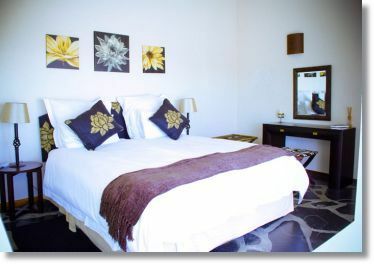 The Marylin Suite is 52m² in size and is furnished in a modern Italian style. 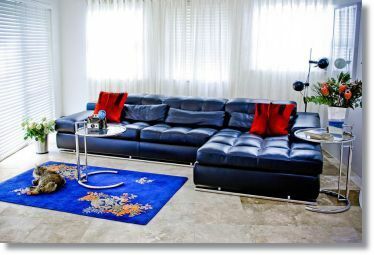 It has a big comfy leather sofa as well as a stylish leather bed. The bathroom has under-floor heating - ideal for the colder months. 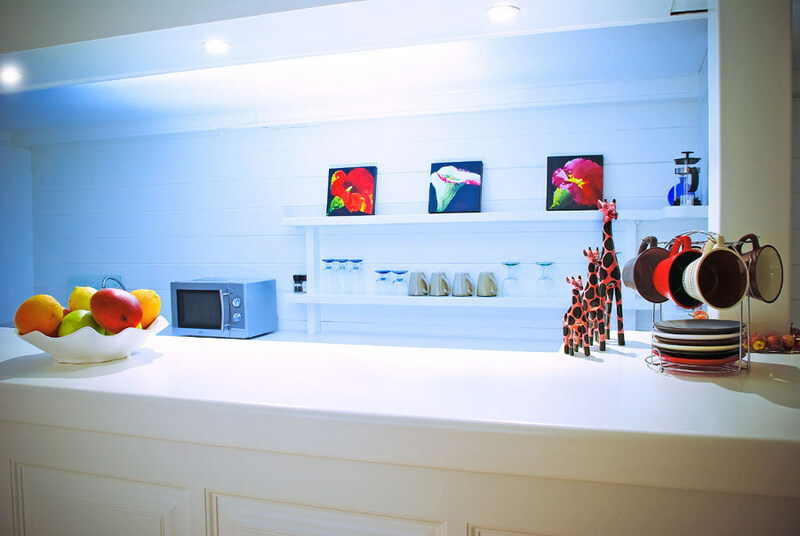 The kitchenette is equipped with stove, fridge, kettle, crockery and cutlery. 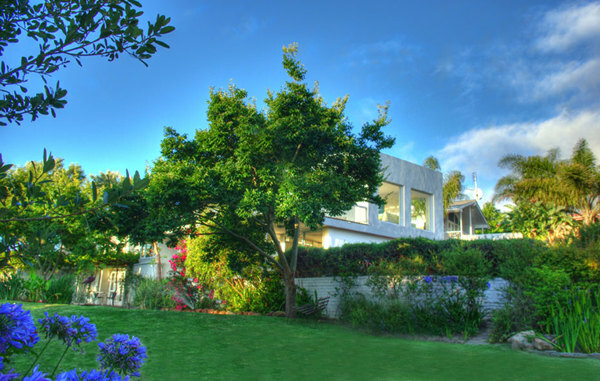 The shaded terrace is hidden in the garden and offers wonderful views over the False Bay. The very spacious Tulip Suite is 83m² in size. It's situated on the first floor and has lovely garden views. 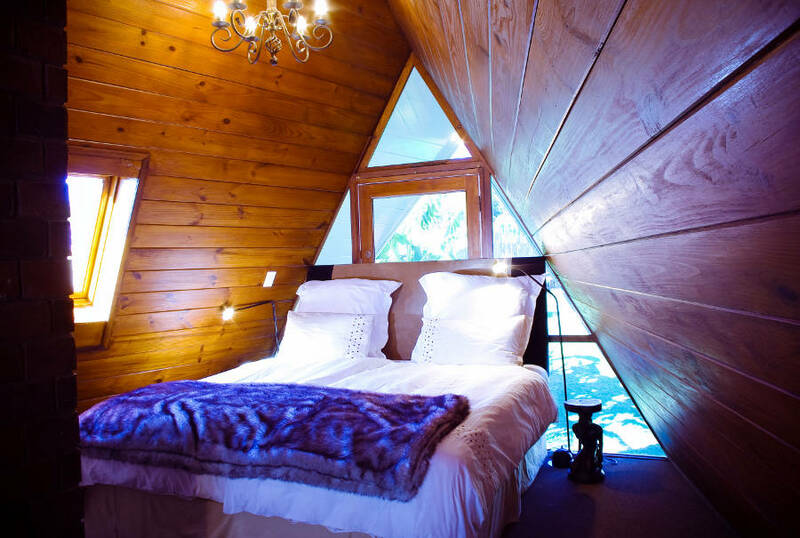 The bedroom has a 90% waveless waterbed - ideal for a relaxing night's rest. 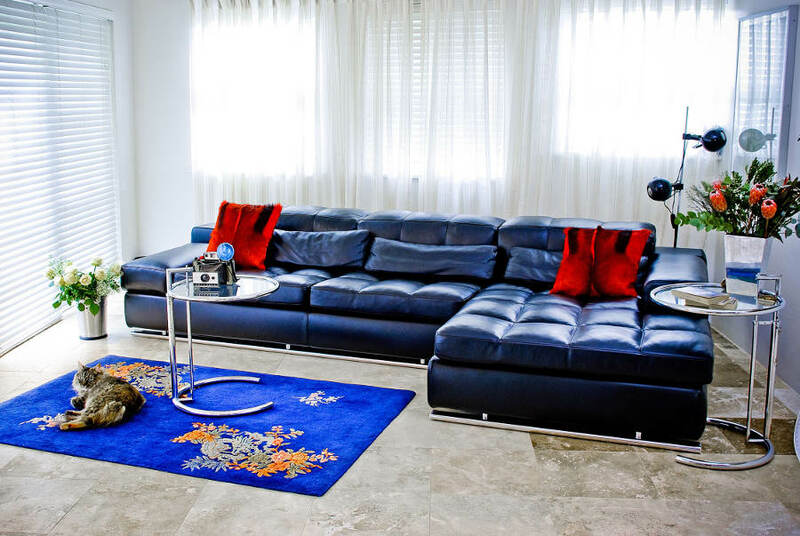 The large living room has a fireplace for colder winter evenings as well as a nice American-styled kitchen. This is the only unit without air-conditioning, but it really doesn't need one. Temperatures are always comfortable and mild. 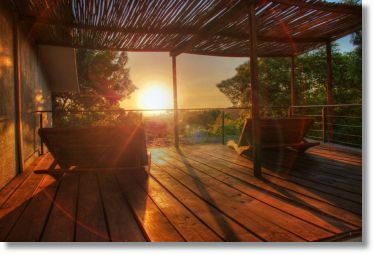 The 25m² Rhino Room is located on the first floor, is equipped with a fridge, SAT-TV and a balcony with stunning views over the False Bay. 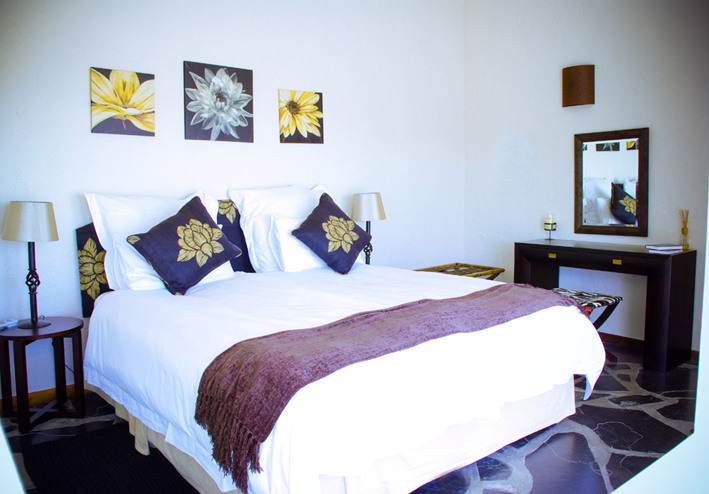 The 25m² Lion Room is equipped with a fridge, SAT-TV and a balcony with garden views. 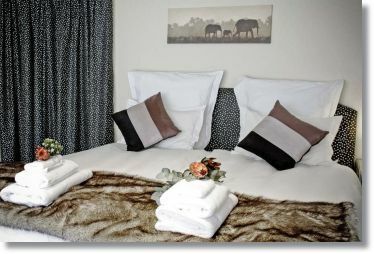 The Elephant Room has the possibility of an additional bed to accommodate another person. Entrance is gained from the pool lounge. With so much to do guests will never be bored! 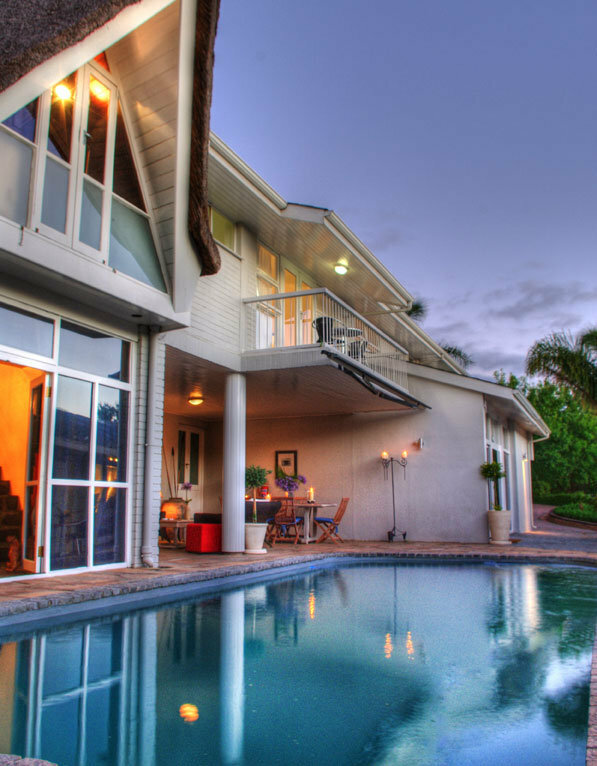 Somerset West is situated directly on the wine route, offering many world renowned wine estates such as Vergelegen, Morgenster, Nederberg, and Boschendal as well as world class restaurants. The area is a paradise for nature lovers with its diversity of birds and unique flora. Many well defined paths invite guests to take a long walk and enjoy the fresh air. Golfing enthusiasts are well catered for in this area. The Erinvale Course, designed by Gary Player and host to the Golf World Championship in 1996 is only 6 km away, with three other courses within 10 minutes drive. Other activities nearby include: beach bird watching, tennis, whale watching, shark diving, wine tasting and tours, rock fishing, water skiing, horse riding, farm tours, biking, quad bikes and shopping. Airport transfers are available on request at an additional cost.